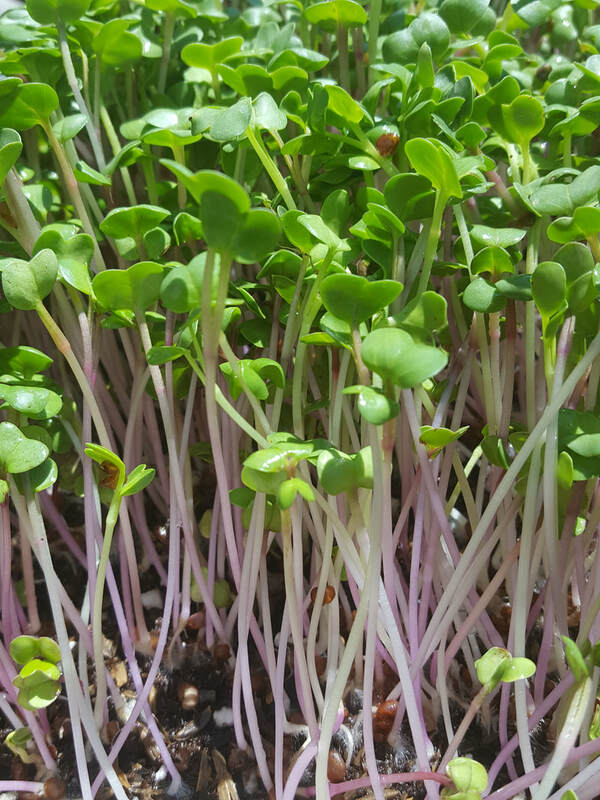 Microgreens are young plants harvested between 10-14 days. They differ from sprouts in that they are grown in our soil mix instead of water. They are tasty nutrient packed shoots that are great on sandwiches, eggs, salads, wraps, etc. We currently grow two signature blends of micros consistently, and have a third rotating seasonal mix.